In the photo above we see Little Rose in ecstasy, she is beautifully radiant and smiling at the heavenly vision that she is seeing. On the dresser behind her we see her statue of Saint Gemma which is the statue bathed in sunlight on the far right (as stated in the caption below the photo. -Note also that you can click on the photo to enlarge it). This photo comes from the excellent booklet "Marie Rose Ferron -A Photo Documentary" by Eugene N. Szynkowski. 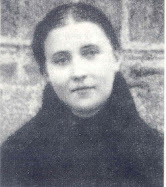 Marie Rose was very devoted to Saint Gemma, who during much of the lifetime of Rose was not yet a Saint---for Gemma was declared a "Servant of God" in 1908, then declared "Venerable" in 1922 when Rose was 20, and later declared "Blessed" on May 14, 1933, almost exactly 3 years before Rose's holy death on May 11, 1936. 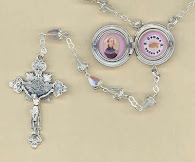 Yet although Gemma was not yet officially declared a Saint by the Catholic church, Rose knew in her heart that Gemma was close to her Jesus in heaven, and she earnestly sought to befriend this heavenly "Gem of Christ" of whom she knew would help her to love Jesus with all her heart. Little Rose felt a great attraction and affinity to Gemma because like Gemma she too was called to suffer the sacred stigmata, the crown of thorns and the scourging in union with Jesus for the conversion of souls. In other words, just like her spiritual friend Gemma, Rose too was called to be a “victim soul” and to suffer in reparation for sinners. And because of this in her trials and sufferings she felt very close to Gemma, and often prayed to her seeking her heavenly friendship and spiritual assistance. Little Rose was born in Canada. Her family moved to the United States when she was three years old. At about this time Our Lord appeared to her in a vision for the first time. Later when asked about this vision Rose said, "I saw the Child Jesus carrying a cross and He looked at me with grief in His eyes." -From that time on Jesus visited Rose and spoke to her and she spoke to Him. Rose wanted to become a nun, but in her teen years she became partially paralyzed and was confined to her home. These were very difficult years for her, yet she did not become discouraged; she accepted everything as coming from the loving hands of God, and she offered it all up to God for poor souls who were in some kind of need. After a while Rose made up her mind to do the Holy Will of God; she accepted her illness as her vocation in life, and then she rejoiced and was glad that she was found worthy to suffer with Christ for the ransom of souls. 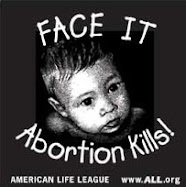 Thus Little Rose's life as a victim of God's love began. It was a life full of sufferings and trials, but also a life full of love and faith in which virtue blossomed and bloomed ever more beautiful as time passed. 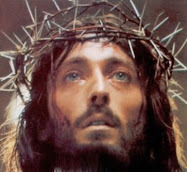 In 1926 and 1927 Rose received the stigmata along with the crown of thorns, and on Fridays she suffered the Passion in honor of His Sacred Wounds. Often when she spoke to Jesus her family heard her asking Our Lord to spare others and pile on her their miseries and sufferings. During the last ten years of her life she was confined to her bed and she had to lie on her back on a quilt-covered plank or board. She went to her reward on May 11,1936 at the age of 33. And like her spiritual friend St Gemma, Little Rose’s life, sufferings and death were all for the same reason; for the love of Jesus and for love of souls. 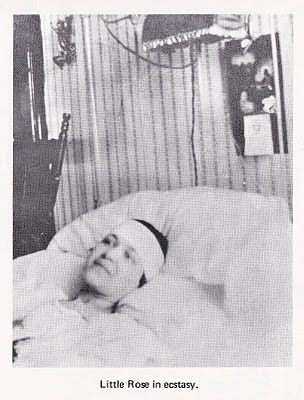 For those interested, I have written a 2-part article on the holy life of Marie Rose Ferron here. -Marie “Little Rose” Ferron, pray for us! 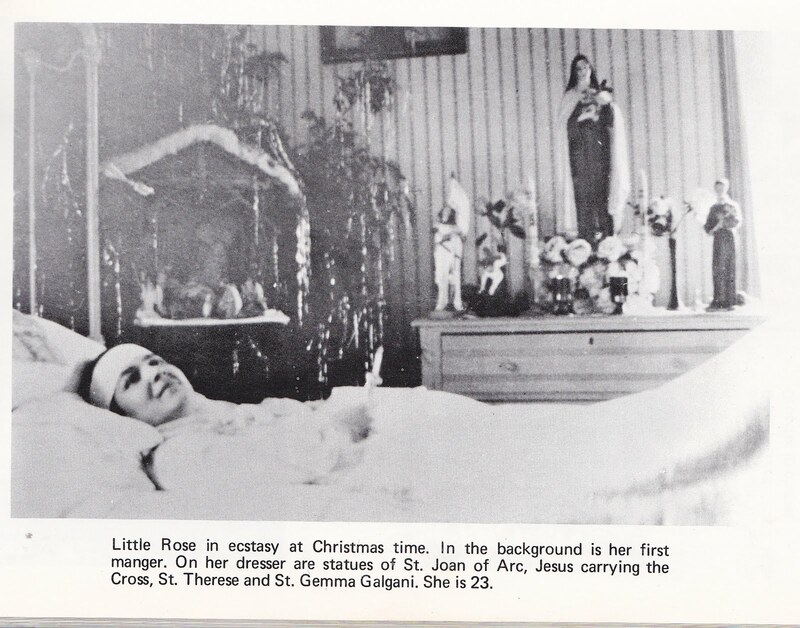 I loved reading about Rose Ferron and her devotion to St. Gemma. Thank you so much, Glenn, for posting this. Marie "Little Rose," pray for us!